STREET PLATE LIFTING SYSTEM OFFERS THE FASTEST AND SAFEST METHOD OF HANDLING TRENCH PLATES. Actek Mfg. & Eng. Inc. introduced a Street Plate Lifting Ring working in conjunction with the safety engineers of a large public utility company. 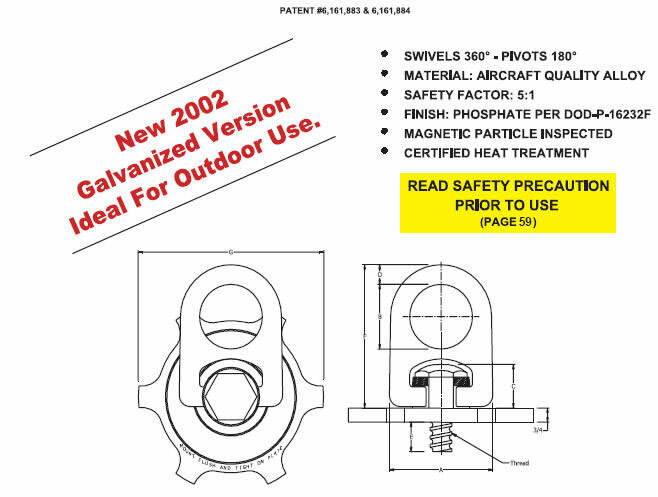 These patented Street Plate Lifting Rings enable faster and safer handling of heavy steel plates commonly used to cover trenches and excavations in streets and roadways during construction or repair. Because these rings can swivel 360 ° and pivot 180 ° , the rigger can leave the ring on the hook while attaching it into the steel plate, and the operator can pull at any angle without compromising the strength. Fabricated of heat treated, magnetic particle inspected and certified 4140 aircraft quality, chrome-moly steel, the street plate lifting rings provide a 5:1 safety factor at maximum rated load. Models are available in 5,000, 10,000 and 15,000 pound ranges. They are designed for quick, simple attachment with the star-shaped drive lugs for easy tightening and removal; no tools are required. There are no loose pins or clips to break or fall out. Furthermore, the Street Plate Lifting System was designed specifically with safety in mind. 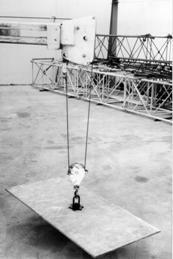 The Lifting Rings and Nuts are manufactured to work in conjunction with each other to ensure proper usage. Matching the nuts or studs with those from other suppliers is not recommended . Commercially available nuts may not meet the specific tolerances required for lifting heavy load. Street plates have limits like any other equipment or tool used in the work place. The recommended steel to use for street plates should be A36, mill certified, structural steel or better and accompanied by a tabulated data, signed and approved by a registered engineer. There are several theories and calculations on steel plates and tabulated data may vary from agencies or companies. 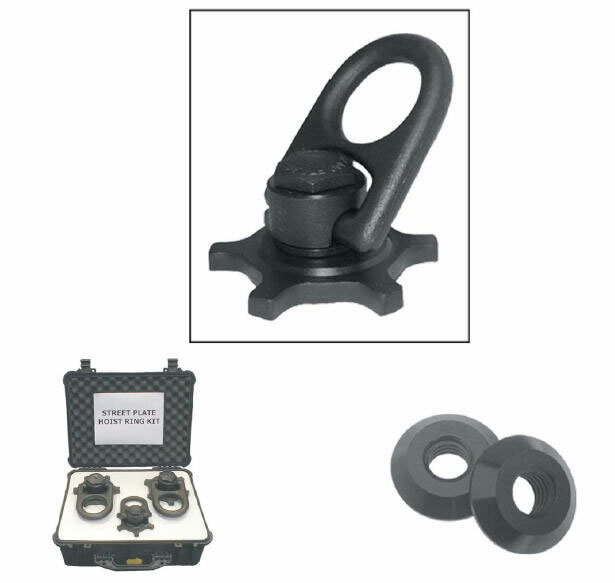 Grade 80, Spectrum 8 is the recommended chain for overhead lifting applications. The chain size should be 3/8” for lifting 1” thick plates or 1/2” for 1-1/2” thick plates. Make sure the chain is not twisted, knotted or kinked before lifting the load. Slings should not be shortened with knots, bolts or other makeshift devices. Visually examine chains for stretched, gouged, bent or damaged links and components, including, hooks with opened throats, cracks or distortion. If any equipment is damaged, remove from service immediately. Hands or fingers should not be placed on or around the steel plate, and should not be pushed or guided by employee's hands while loading, unloading or placing the steel plates. The proper way of guiding the steel plate in place is with a device that has a magnet attached to a metal rod and used a like a tag line. The steel plates should be straight and true with very little deformity and should be shimmed so the plate will not rock or injure anyone. Placing a cold patch around the edges can eliminate tripping hazards, protect tires from bursting and also aid in keeping the plate in position. According to Underwriters Laboratories and OSHA, a walking surface should have a Coefficient of Friction (COF) greater than 0.5. Steel plates have a Coefficient of Friction of 0.55 when dry. However, these plates become very slippery when wet, and the COF can drop to less that 0.25. Several California cities and municipalities are requiring some form of friction enhancement on the steel plates as a condition for encroachment permits. The typical requirement is a non-skid surface having a minimum COF equivalent to 0.35. The non-skid plates required by various California cities and municipalities are readily available by most plate rental companies. When ordering them, be sure to ask for a Certificate of Conformity. Part Rated Thread Thread Wt.